With the fitness craze going strong today, a lot of people are becoming interested in marathons and triathlons. Joining these fitness events takes time and effort; but, it does not make them less enjoyable for people who wish to live a healthier and more active lifestyle. There are a lot of fitness camps and online information resources that you can consult to find out what you need to join and prepare for triathlons. For starters, you can find out what equipment and apparel that you need for triathlon training. Swimming. You need to have the right swimwear to protect your body from the temperature changes as you do this leg of the triathlon. You would not normally need any other accessory for this leg, other than perhaps a pair of swim goggles. Biking. It goes without saying that you need a good pair of wheels for this leg of the race. There are different kinds of bikes and you have to make sure that you train with the right kind for the course terrain of the race you are going to join. Some races will have a bike course that combines paved roads and rough roads. Running. A good pair of running shoes and apparel that’s both comfortable and breathable are all that you need for a good run. A water bottle is the only other essential accessory that you need. All other accessories that are available in sporting goods stores are nice-to-have when budget permits and when you actually find need for them. Before you even start looking for a triathlon to join, you have to make sure that you condition your body for it. 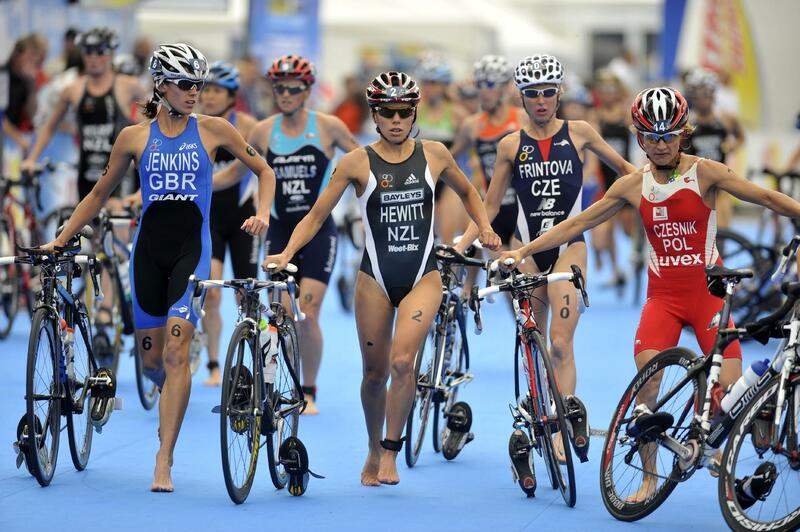 Good triathlon training involves three events that you have to prepare for separately: swim, bike, and run. Pump up your performance in these events. Then, you can combine the activities to simulate the actual triathlon. Training in a course with conditions that are similar to an actual triathlon course is recommended for optimum conditioning.